My Thanks to these people that helped build my page with sets or other items. OK! 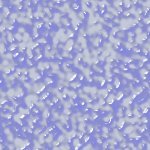 this page lists all the places I used to get graphics and Midi's and such for my page. Except for my Cyberpets, the links for them are next to them on the page they are on. All images in my art pages NOT for Downloading with out permission they are all (C) by me. Please do NOT take them with out emailing me and asking permission. I've used artwork from these artists on my pages. I got most of my fonts from one of these pages. Text was added to pre made sets and custom graphics sets where made for this page using the following. The music on this page is Starships "We Built this City"